Gene amplification is a mechanism that can activate cellular oncogenes to express abnormal levels of protein. The MYCN (v-myc myelocytomatosis viral-related oncogene) gene was the first amplified oncogene that was demonstrated to have a clinical significance in neuroblastoma. Moreover, it has also been reported in medulloblastoma, a malignant and invasive embryonal tumor of the central nervous system. In recent years, the improvement of cytomolecular techniques, such as fluorescence in situ hybridization (FISH) and real time quantitative polymerase chain reaction (RQ-PCR), has supplemented the classical cytogenetic analysis for diagnosis and prognosis of medulloblastoma. FISH has advanced the detection of gene amplification revealing episomes, not visible at the karyotype level and it has represented a powerful tool for investigating gene amplification on archival material. RQ-PCR analysis has been used for detecting MYCN copy number alterations and refining the breakpoints of the amplicon containing MYCN at higher resolution. 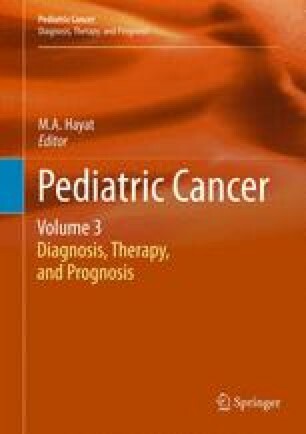 Thus, these techniques investigating the MYCN amplification, have helped to identify a trend towards poorer outcomes in patients and, in combination with histo-pathological assessment, in the next future hopefully will assist a refined classifi­cation of medulloblastoma.